When working on a highways project where visibility is of most importance, many will opt for Alpha Rail’s Optirail pedestrian guardrail, which is considered to be the market leading product since its creation in the 1980’s. Working nationwide has enabled Alpha Rail to be involved in countless projects up and down the country. However, it always comes as a refreshing change to work closer to our home here in the East Midlands. 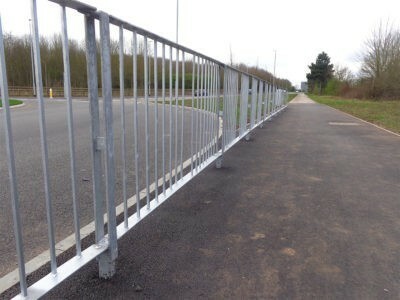 The installation of pedestrian guardrail in these off-highway environments is ideal where there is a need to segregate on-site personnel from forklifts, lorries and other moving machinery that could potentially be a health and safety risk. Alpha Rail is proud to give recognition to the impressive service milestones achieved by members of the team. Upon reaching 20 years with the company, staff are presented with a gift of their choice as a way to say thank you for the dedication and hard work since joining the team. When it comes to the requirements of metalwork on high-end properties, appearance is key and should reflect on the style and history of the building. 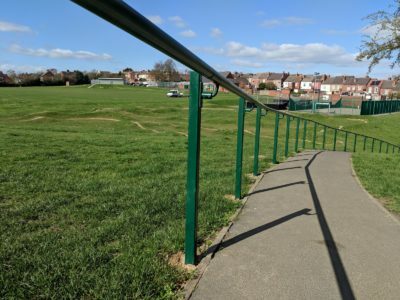 While ‘off-the-shelf’ metal railings are widely available online, they may not always be suitable. For those who want a more unique result, Alpha Rail’s full-service approach allows clients to have metalwork that follows curves, gradients and custom designs if required. Supporting local employment for over 30 years, Alpha Rail welcomes a new Packaging & Distribution Operative to work closely with the yard team. Cumnor House is a school based in Sussex and is one of the country’s leading independent day and boarding schools for 2-13 year-old boys and girls. When planning to create a new space in which the school’s Reception aged (five-year olds) would play, a solution was needed in order to keep the space safe and prevent any unauthorised access. As specialists in bespoke metalwork, Alpha Rail often gets involved in projects that require complicated metalwork solutions. A recent project based in London was no exception, where there was a requirement for added privacy on a new extension to an apartment building. 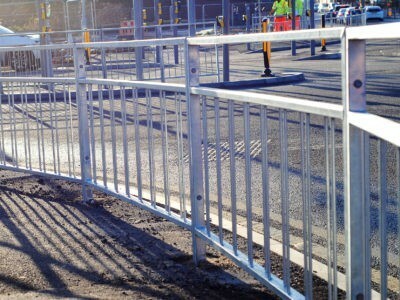 Alpha Rail technical team provide guidance on the legal distance that should be between signal posts and pedestrian guardrail when installed on a public highway. Given the go-ahead in 2016, the £12m project at Marsh Mills retail park promises to create 140 jobs. Next is the largest clothing retailer in the United Kingdom with over 500 stores across the United Kingdom and around 700 worldwide.